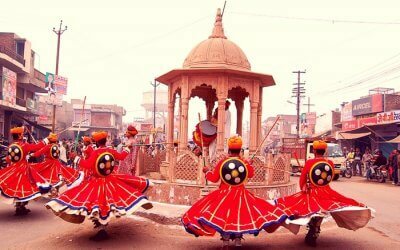 Bikaner is a cultural paradise and a traveler’s haven. This city will hold you captive in its forts, mesmerize you with its scenic beauty, and astonish you with its glorious past. 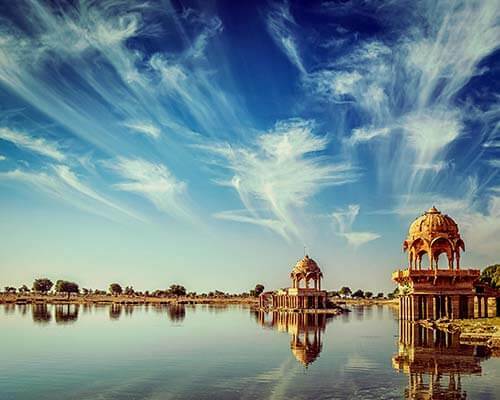 With extremely fascinating places to visit in Bikaner, the city will call you back time and again. Easily accessible through air, rail and road, Bikaner boasts of a lot of tourist places that will interest history buffs and culture enthusiasts. 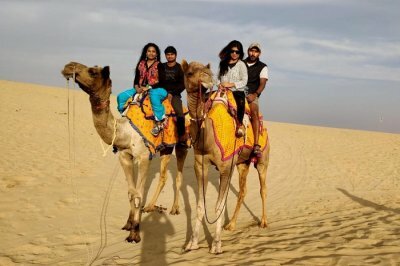 Before we move on to the top tourist places in Bikaner, here are a few essentials that’ll help you plan your trip to Bikaner. There are no airports in Bikaner. 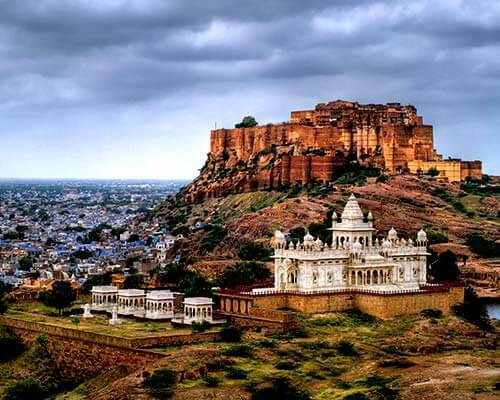 The nearest airport, Jodhpur Airport, is located 250 km from Bikaner. Regular trains ply between Bikaner and other major cities. Lalgarh Junction (2.6 km from Bikaner) and Jodhpur Junction (1.4 km from Bikaner) are the nearest railway stations. There are regular buses plying between Bikaner Bus Stand and other major cities. 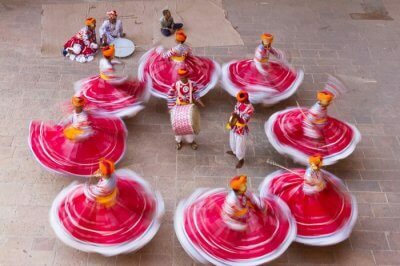 No time is a bad time to explore the ethnic culture and history of Bikaner. 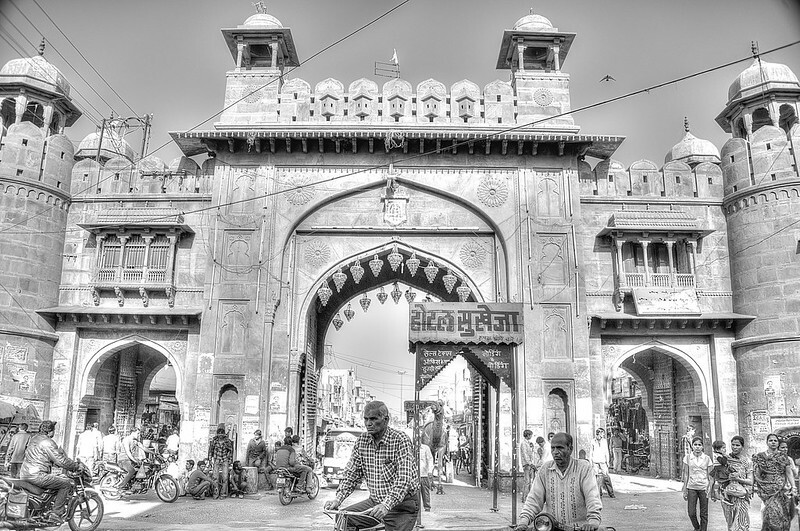 But the pleasant weather during October – March makes winter season the best time to visit Bikaner. 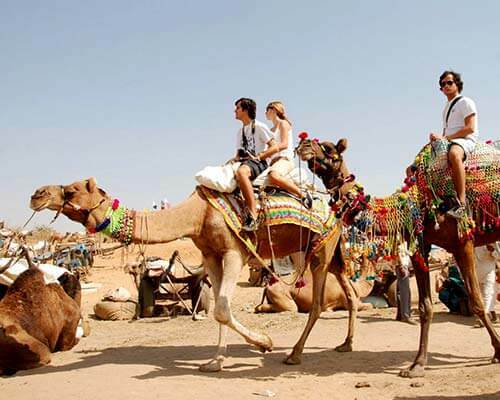 And then there is the Camel Festival held in January every year that attracts the tourists during this time all the more. 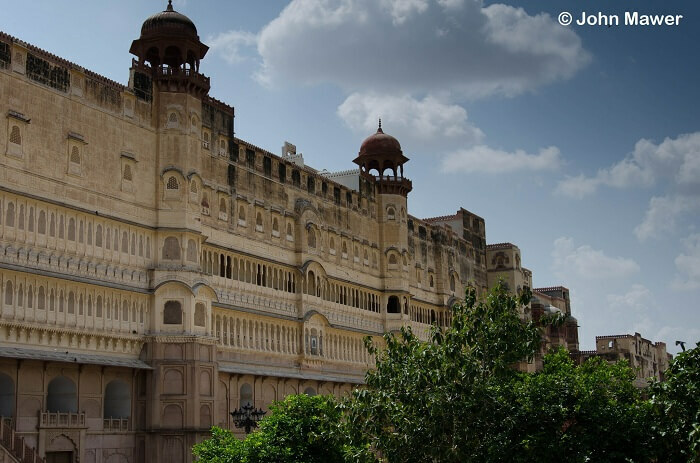 Coming to top attractions, here are the must see places in Bikaner that give you an insights into the grandeur of the city’s kingdoms and their architectural excellence. 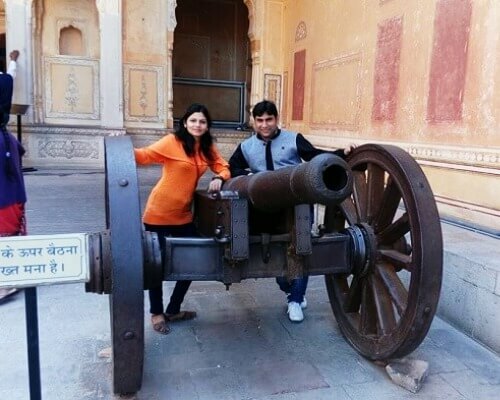 An undefeated and unconquered fort that still stands tall and narrates tales of the glorious past, Junagarh fort is one of the truly mesmerizing places to visit in Bikaner. The unique amalgamation of Mughal and Gujarati architecture makes this fort one of its kind. Its soaring beauty and a picturesque surrounding provide photographers with a lot of options to capture. Har Mandir a.k.a Royal Chapel: This temple was built exclusively for the royal family. Karan Mahal a.k.a Public Hall: Considered to be the most tranquilizing place of this fort, it narrates the victorious tale of Karan Singh over Aurangzeb and highlights the aesthetic side of the royal family. Anup Mahal: The erstwhile administrative block, it is beautifully built with Italian tiles, exquisite lattice balconies & windows, and the exceptional wooden work. Chandra Mahal: A fine example of royal luxuries, the structure boasts of breathtaking luxurious rooms and mesmerizing gold work. Fort Museum: Built in an attempt to preserve the tales of the past, the museum also exhibits royal jewels and costumes alongside paintings of the royal family. One can also see the arms and ammunition preserved here in the museum. The library boasts its collection of Sanskrit and Persian manuscripts. Prachina Museum: Nestled peacefully in the corner of Junagarh fort, Prachina Museum exhibits the cultural spirit of Bikaner. 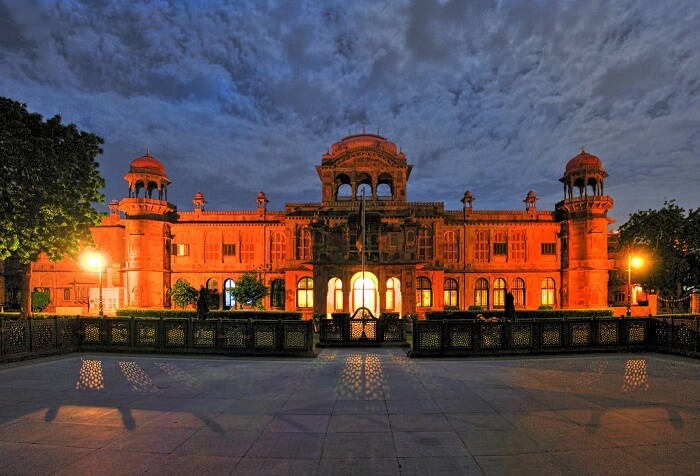 The museum showcases ethnic royal dresses, beautiful portraits of former rulers, religious sculptures, art works, preserved crockery & cutlery, and a beautiful collection of handcrafted rugs & carpets. 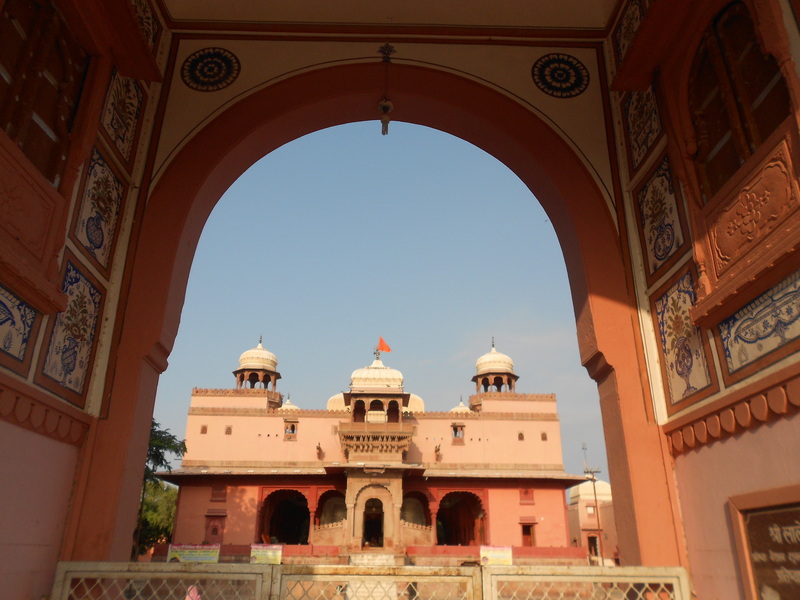 The beautiful red sandstone structure is one of the major tourist attractions in Bikaner. 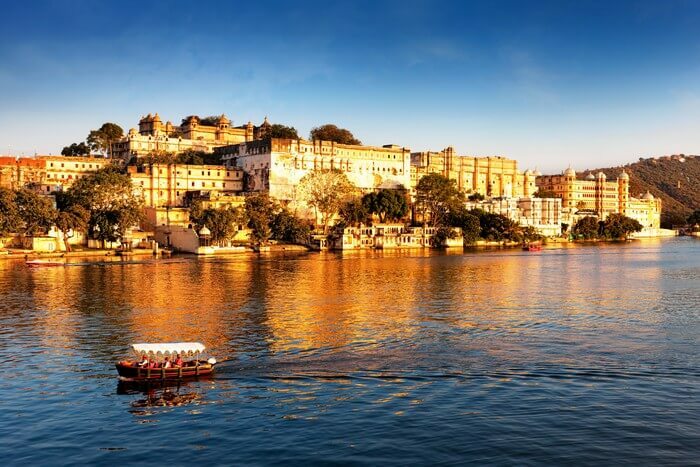 With a perfect blend of Rajput, Mughal, and European architectural style, this place is the true spirit of Rajasthan. 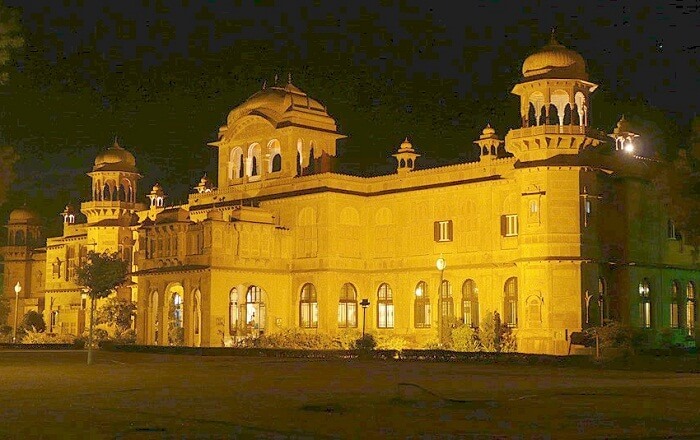 Commissioned by Maharaja Ganga Singh in the memory of his father Maharaja Lall Singh between 1902 & 1926, the palace was later converted to Lallgarh Palace Hotel. Sadul Museum: Located on the first floor of Lalgarh fort, this museum exhibits the heads of various animals and a collection of trophies of rulers of Bikaner. One also gets to see photographs and personal artefacts of the mighty rulers of this region. Ganga Golden Jubilee Museum: Another museum within the fort, the Ganga Golden Jubilee Museum exhibits a fine collection of historical remains brought together under one roof. 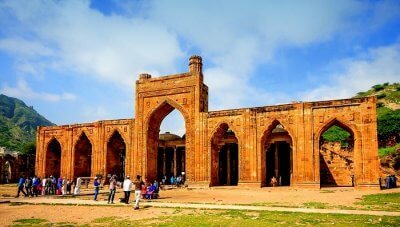 It also showcases the German artist Mueller’s large oil paintings, sculptures of various dynasties, coin collection, and an amazing exhibition of remains of Pre-Harappan civilization. 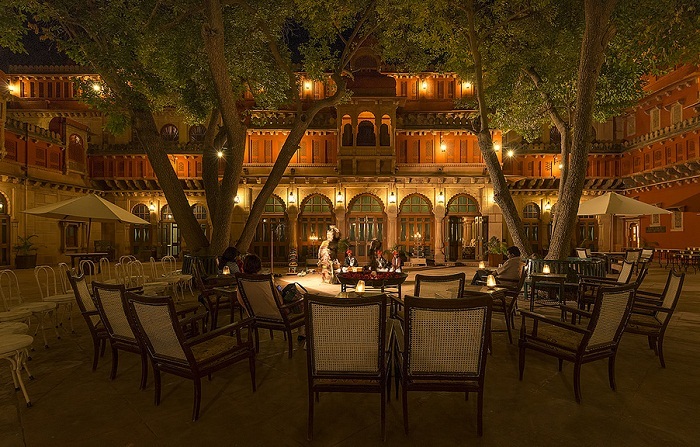 Lallgarh Palace Hotel: It is a heritage hotel owned and run by Maharaja Ganga Singh Ji Charitable Trust. 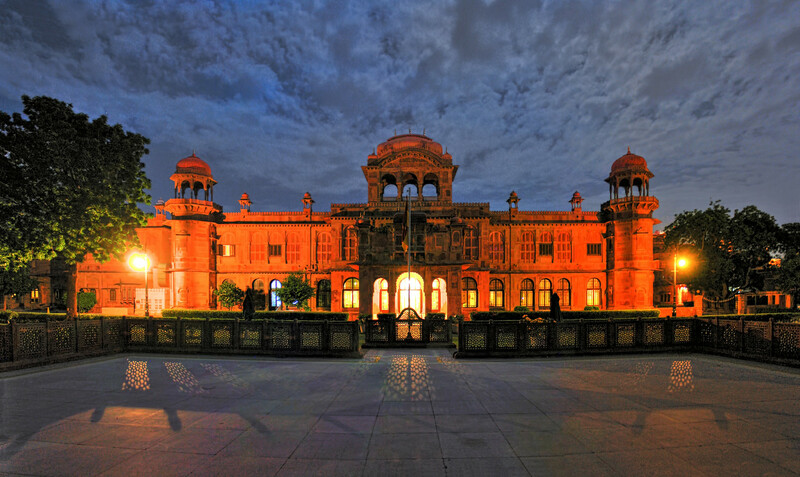 Laxmi Niwas Palace is the former residence of Maharaja Ganga Singh of Bikaner, built between 1898 & 1902 in an Indo-Saracenic style by the British architect Sir Samuel Swinton Jacob. 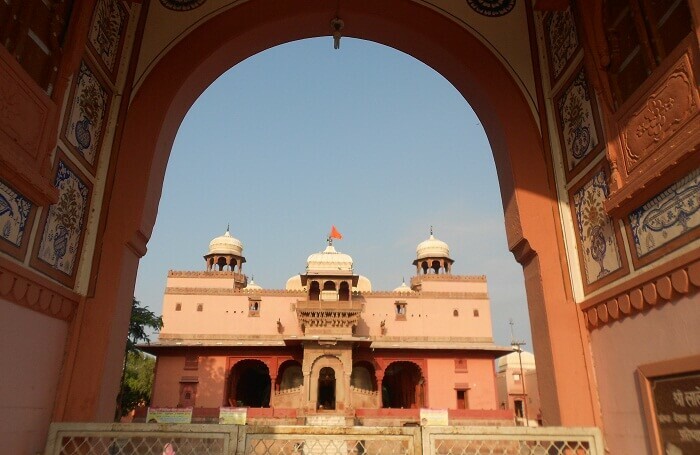 The graceful red sandstone structure is one of the most popular places to visit in Bikaner. 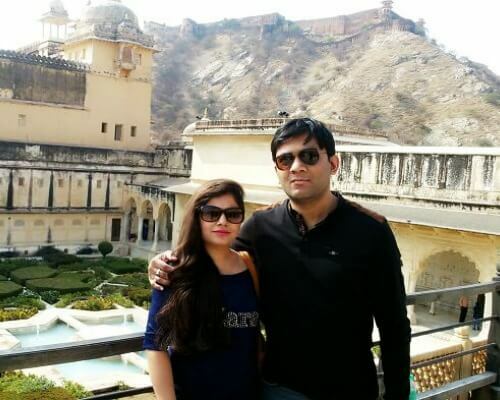 The palace was converted into a hotel and is now run by the Golden Triangle Fort & Palace Pvt Ltd. Located on the banks of the Gajner Lake, Gajner Palace is an architectural treat for visitors. The red sandstone structure is situated in the dense forest and one can spot flocks of migratory birds around the area. 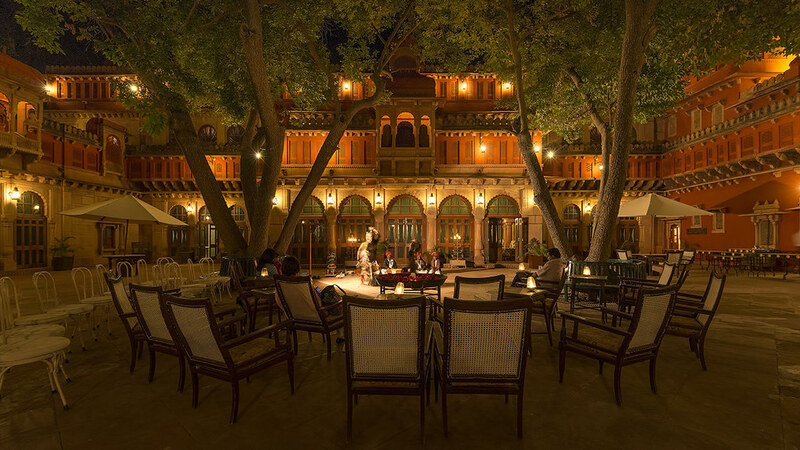 The beautiful architectural marvel is among the most amazing places to visit in Bikaner for a quiet weekend. 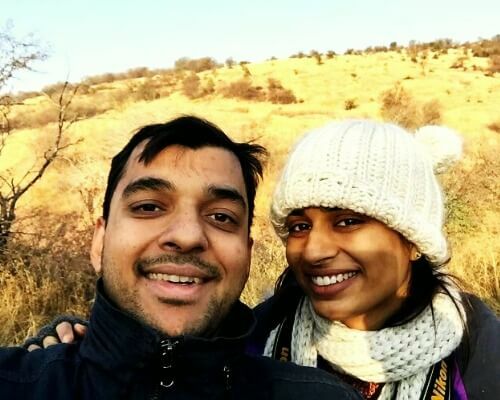 The property also houses the Gajner Wildlife Sanctuary that was a famous hunting ground of the royal family. 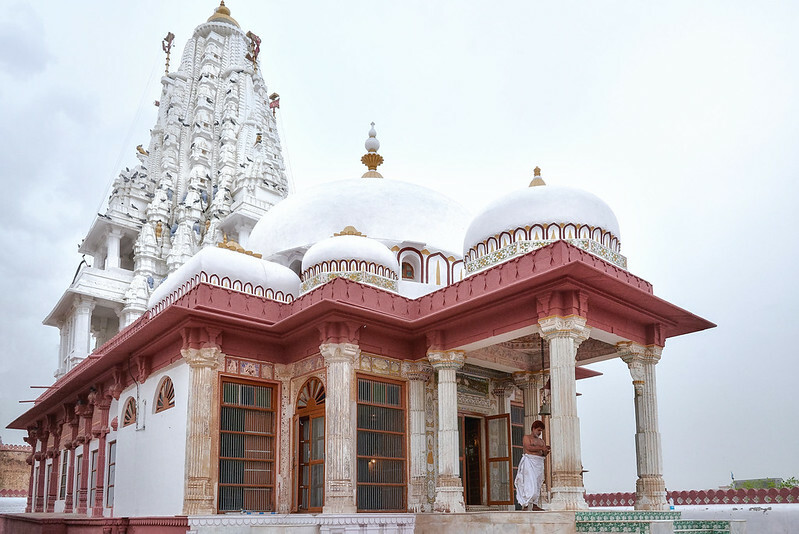 The Bhandasar Jain Temple is dedicated to Sumatinath, the fifth Tirthankara of Jainism. The beauty of this temple will leave you awestruck with its unique Rajputana architecture and intricate design. The blend of red sandstone and white marble, alongside the mesmerizing gold layer finishing, is what makes it one of religious tourist places in Bikaner. The grandeur of this three-storied temple is admirable and this should be on every traveler’s list. The famous temple dedicated to the sanctum of Goddess Laxmi and Lord Vishnu, Shri Laxminath temple is one of the oldest temples in Bikaner. What makes this temple stand apart is the intricate silver artwork and beautiful idols of various deities. The best time to visit is during the festive season as Shri Laxminath temple is famous for the celebration of Hindu festivals such as Diwali, Janmashtami, and Ramnavmi. An architectural wonder, Shiv Bari temple is built completely of red sandstone. The temple dedicated to Lord Shiva is one of the best places to see in Bikaner. The major attraction of this temple is the miniature idols that beautifully showcases the culture of Bikaner. The serene and calm environment around the temple adds to the aura of this grand temple. 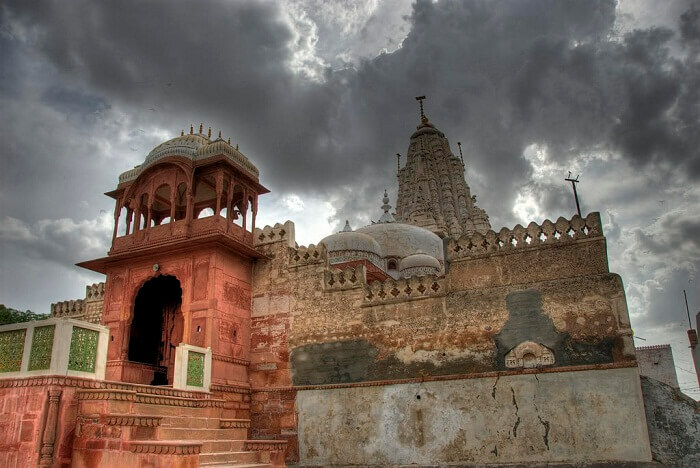 One of the unique places to visit in Bikaner, the Karni Mata Temple is dedicated to Karni Mata, an incarnation of goddess Durga. The temple is believed to be the abode of over 20,000 rats. 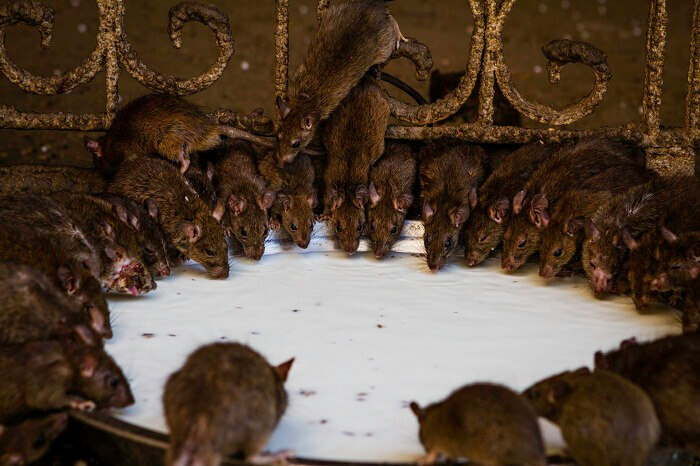 The visitors worship these rats and offer prasad to them for they are believed to be the sons of Karni Mata. The silver gate and intricate marble carvings of the temple add to its charm. 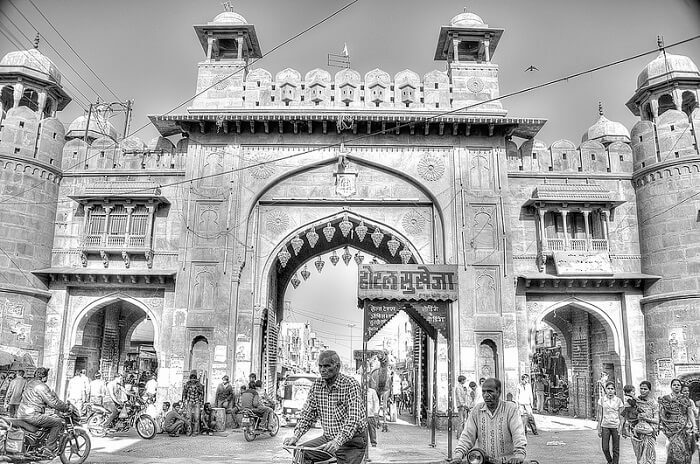 Standing tall like a guardian to the city, Kote Gate is the main entrance to the city and separates the new city from the old city of Bikaner. 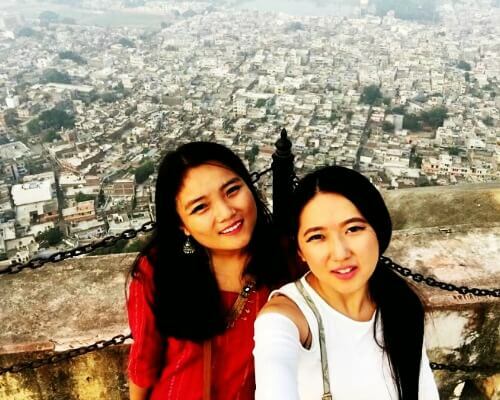 This site is an amalgamation of ancient forts and monuments and new urban civilization. The major attraction of this place is local shopping. 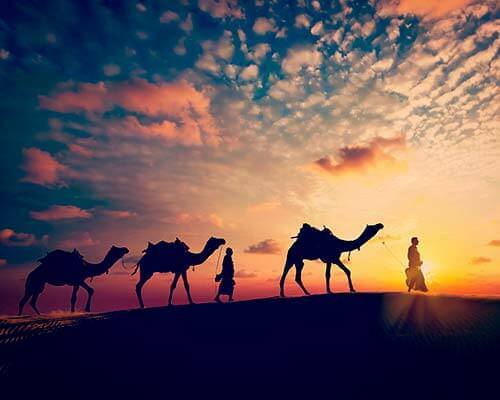 One can find a variety of goods in this market – handicrafts, traditional clothes, utensils, artifacts made of Camel hide, or traditional open toed shoes. Apart from shopping, this place will also excite you with its abundant eating joints. 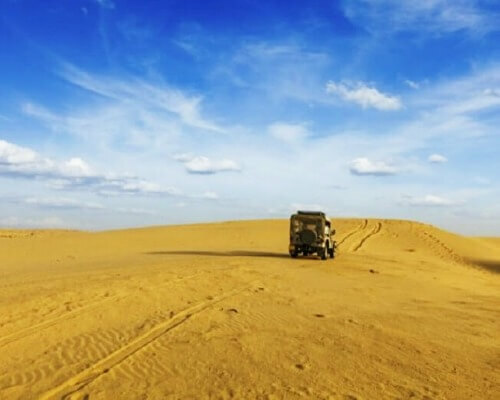 Explore the wilderness in the middle of the desert, and witness the mesmerizing beauty of the sand ocean at the Thar Desert. 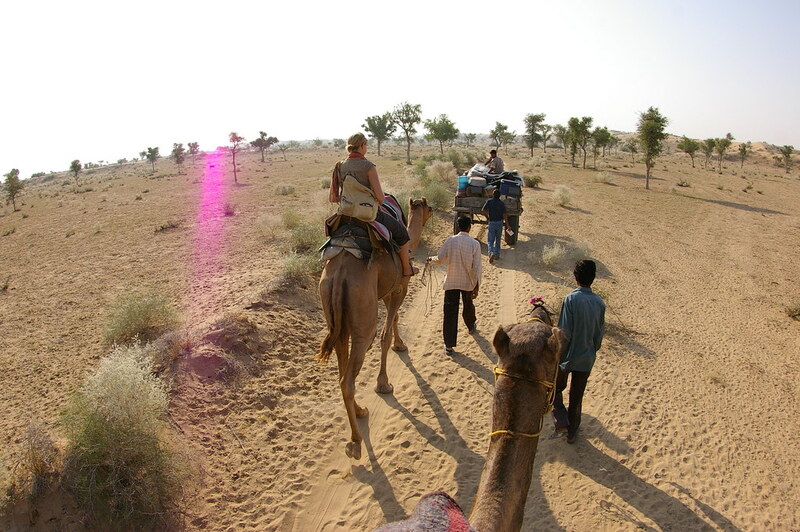 Camel Safari is a must try for every traveler visiting Bikaner. 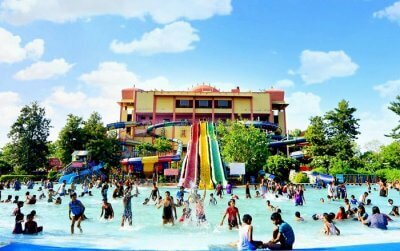 With the top notch facilities provided by the organizers, you get to experience nature in its crude form. Did you pack your bags yet? 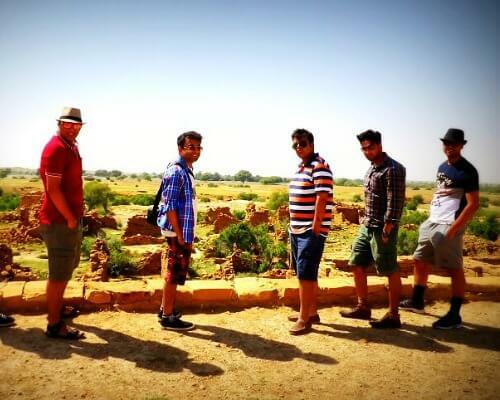 Explore these amazing places to see in Bikaner and share your amazing experience with us!